Thirteen people have graduated from what is thought to be the country's first course for victims of human trafficking and modern slavery. Northern College, near Barnsley, runs the 'Free Thinking Programme' to prepare students for living and working in the UK after escaping their abusers. Students are taught modules including computer skills, interview techniques and given help with their English. Course organiser Jane Williamson said it also aimed to restore people's hope. She said: "There are people who have come here through domestic servitude, people who were being exploited at work - one man was working in a dairy for two years for £50 a week. "There are also people that have been exploited by criminal gangs, and there may be women who have come through sexual exploitation. "The course has built people's confidence and improved their English but it's also provided resilience, hope and ambition." According to the most recent Home Office figures, in 2013 there were estimated to be between 10,000 and 13,000 potential victims of modern slavery in the UK. 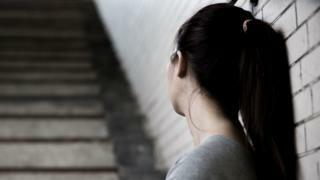 In March the National Crime Agency revealed that last year it received more than 5,000 referrals about possible victims. The course was attended by people from countries including Sri Lanka, Latvia, Kenya and Nigeria. One of the students, from Iran, said he had been exploited by drug dealers in London and when he tried to tell police he had a gun put to his head and his ribs broken. Ali, not his real name, said the course had helped him learn to support himself. "Now I know more what I'm doing and what I have to do for the future," he said.